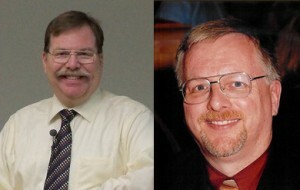 This week on Fieldstone Common our featured guests are George G. Morgan and Drew Smith, authors of the book Advanced Genealogy Research Techniques. George G. Morgan, an internationally recognized genealogy expert, is president of Aha! Seminars, Inc., and vice president of membership for the Federation of Genealogical Societies. He is the author of several books, including three editions of How to Do Everything: Genealogy. George co-produces The Genealogy Guys Podcast with Drew Smith. Drew Smith, MLS, a librarian at the University of South Florida, is the “Rootsmithing with Technology” columnist for the Federation of Genealogical Societies’ FORUM magazine. He is chair of the Family History Information Standards Organization and president of the Florida Genealogical Society of Tampa. You can learn more about George G. Morgan and Drew Smith at the Aha! Seminars website or on the Genealogy Guys podcast website. Learn how to use innovative methods to unearth hard-to-find ancestors. Advanced Genealogy Research Techniques shows you, step by step, how to uncover elusive details by taking advantage of specialized tools and software programs and using proven best practices for breaking through the brick walls that have hindered your progress. You’ll get professional advice on formulating a research strategy, understanding the details you discover, keeping careful track of your data, analyzing the evidence, and developing hypotheses. Real-world case studies demonstrate how you can apply the systematic procedures presented in this practical guide to your own research–and achieve success! Paperback; 206 pages with an index and BxW photos and illustrations. Advanced Genealogy Research Techniques is available for purchase from Amazon.com and other booksellers. In this interview George, Drew and I talk about how to use more advanced research techniques to solve genealogy problems. As well we discuss DNA, crowd sourcing and when it’s appropriate to bring in a professional genealogist. Two copies of Advanced Genealogy Research Techniques were given out to the Fieldstone Common audience courtesy of the McGraw Hill Education. Congratulations to our winners and thanks to the McGraw Hill Education for their generosity in donating the books! Question: What’s that’s new stuff in the Fieldstone Common title (FC 72)? Answer: That makes it easier, especially for iTunes and other podcast listeners, to keep track of which episode they are listening to. FC stands for Fieldstone Common and 72 is the number of the episode. This entry was posted in Genealogy, McGraw Hill and tagged Drew Smith, George G. Morgan, The Genealogy Guys by FieldstoneCommon. Bookmark the permalink.